[prMac.com] Toronto (ON), Canada - Zevrix Solutions today announces LinkOptimizer 5.2.17, a maintenance update to its image processing automation solution for Adobe InDesign. 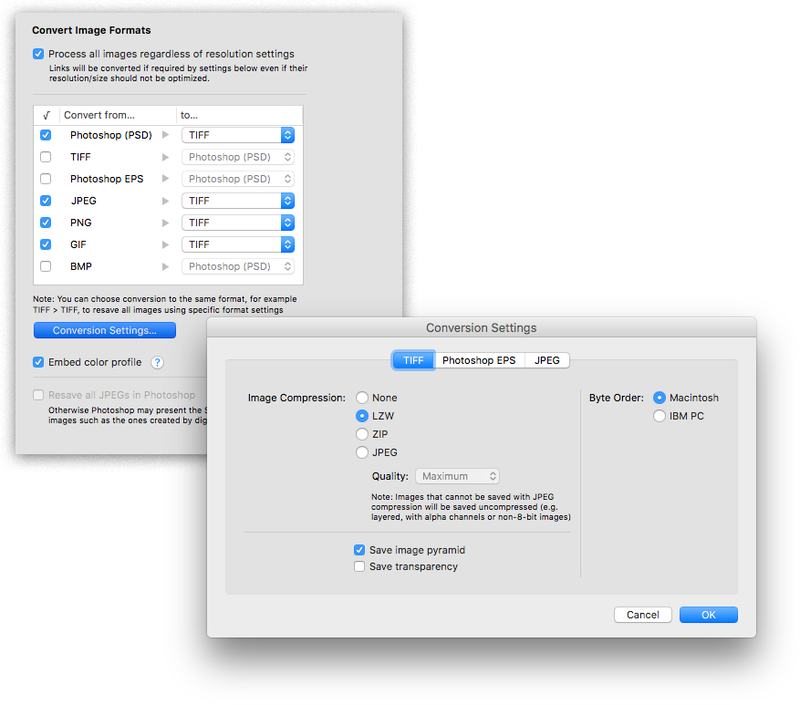 LinkOptimizer automates complex image manipulation tasks and helps users reduce the size of InDesign links, save prepress costs, and easily repurpose InDesign documents for web and mobile devices. The new version fixes an error that prevented LinkOptimizer from properly processing images with umlauts and other accented characters in their names. This update will help simplify workflows of users who work with German, French and other European languages by eliminating the need to replace special characters in image names in order to optimize their InDesign jobs. "Today LinkOptimizer batched a huge book project and another magazine project in minutes vs. hours. Now I can take the afternoon off and drink beer," says Brian Donahue, owner of Bedesign studio in Minneapolis, Minnesota. "Thanks for freeing up my afternoon, rather than doing production work." * Run a Photoshop action on each image. LinkOptimizer can be purchased from Zevrix website for $259.95 USD (Lite version: $179.95) as well as from Adobe Exchange and authorized resellers. Trial is also available for download. The update is free for LinkOptimizer 5.x users and $130 to upgrade from previous versions. LinkOptimizer requires macOS 10.7-10.14 and Adobe InDesign / Photoshop CS5-CC 2019.